And then of course, the article is pointing out that Conde Nast Traveler readers have voted Maui the #1 island in the WORLD for twenty years straight! These pictures say it all. Come see us! Mike (“Captain Turk”) will be happy to take you out on a whale-watching tour on the Scotch Mist out of Lahaina Harbor. I hear he’s quite entertaining…and can regale you with legendary surfing stories, or talk about the time the huge surf took out all the houses on the beach on Oahu’s North Shore and his whole neighborhood had to evacuate (these same houses are being threatened again at this very moment from high surf. Such is the price of beachfront property). A hui hou! Mahalo for reading along. If you’d like to just to subscribe to this blog, please click the “Follow” button in the bottom right corner of the Homepage. 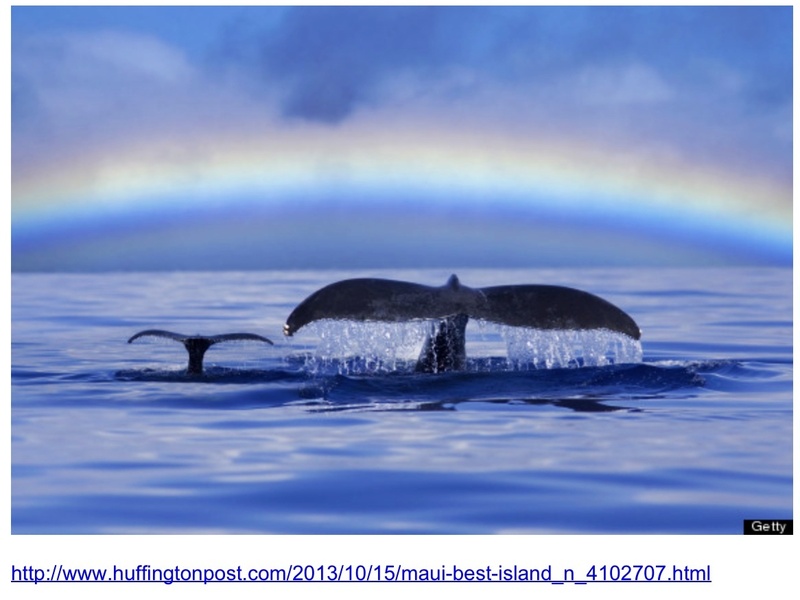 This entry was posted in Life in Hawaii and tagged baby and Mama whale photo, baby whale photo, local whale watching, Maui voted #1 island in the world, Scotch Mist Sailing Charters, Vacation in Maui, whae season, whale-watch cruise in Maui, whale-watch in Maui by jamaicawtr. Bookmark the permalink.